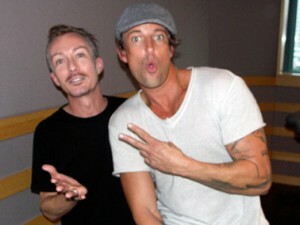 On Wednesday 2010.11.17 superstar Daniel Powter dropped into my Inter FM program Global Satellite for a chat. It was the second time I’ve interviewed Daniel – the last time was just after his massive hit Bad Day blew up around the world. This time he cracked a joke about how sick of listening to that song me & my listeners must be (!!). Then he added that he’s really sick of listening to it because he’s had to sing it soooooo many times!! 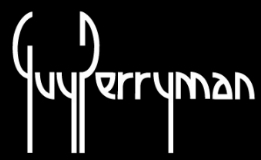 Oh & the title was a bit of a fluke – he had the Bad bit written but then he was trying to find a word that rhymed with Hey .. & Day was the winner..
Not such a bad day with Daniel Powter. This entry was posted on Thursday, November 18th, 2010 at 12:52 pm and is filed under Check-In News. You can follow any responses to this entry through the RSS 2.0 feed. You can leave a response, or trackback from your own site.